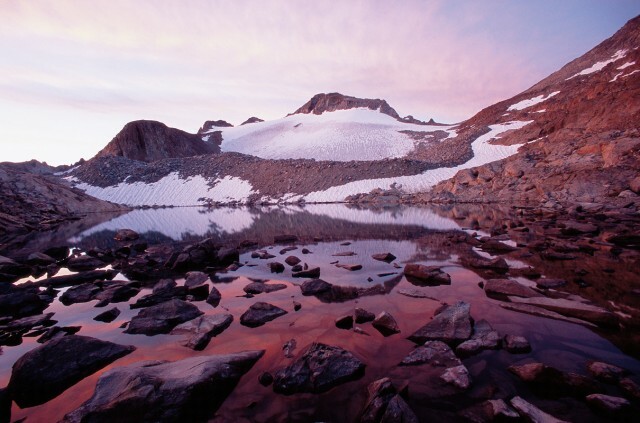 Earlier this year, geologists in Yosemite Park came to the sad conclusion that one of California's iconic glaciers, the Lyell, had ground to a halt, having lost too much mass to sustain its downward movement. 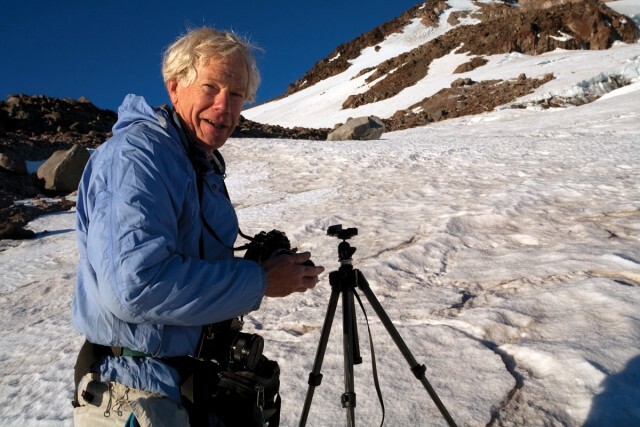 Knowing that California's approximately 130 (depending on your definition) glaciers will not be around forever, author and naturalist Tim Palmer spent the summer of 2010 on a personal quest to climb and photograph as many of these frozen giants as he could manage. I spoke with him shortly after publication of his ensuing book, California Glaciers (Heyday). CM: I know that a number of California's glaciers have been re-surveyed, comparing them now with photographs taken a century ago. The shrinkage is starkly evident in some of them. TP: What that shows – picture an aerial or planned view looking straight down – the area of ice gets smaller as the glacier shrinks, so we see that easily. But the glacier is also getting thinner, which we don’t see. 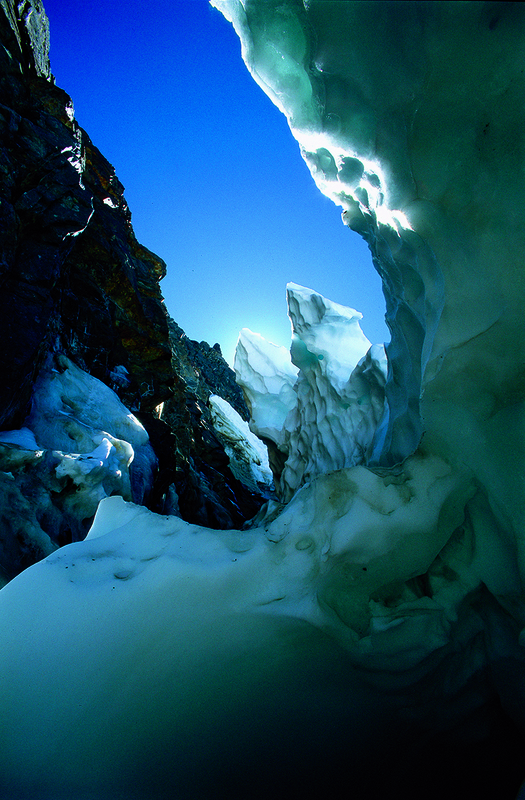 This is not theoretical -- the McLure Glacier is losing two feet of thickness per year. 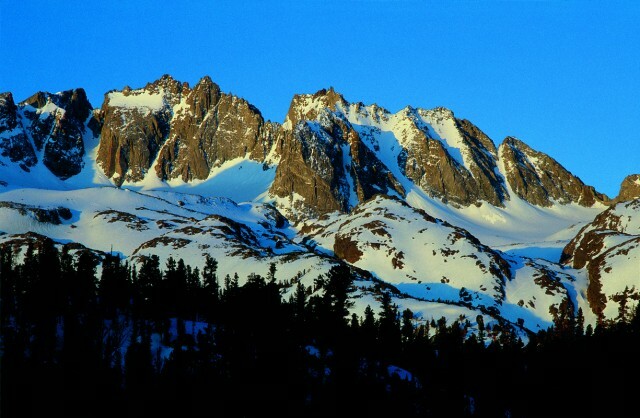 That could be typical of other Sierra glaciers. We could be down to almost the last year [and] it would look about the same size but it would only be two feet thick. And the next year: gone. So, the rate of loss is actually far faster than what we see by comparing those photos. CM: What makes this worrisome? TP: The glaciers have been receding so long -- except for Mount Shasta -- they’re really not that big anymore. They do provide water to the rivers below them -- no less than the Tuolumne which provides for San Francisco’s water and the Owens, which provides for Los Angeles’s water. They do provide water late in the season. Virtually all the other streams have almost completely dried up because the snow has melted by August-September. The glacial streams continue to run, nourishing the ecosystem below them, the fish, the riparian life and of course the people who use that water later on. But that’s not really the main point. The main point here is that the glaciers are simply the most visible sign that we have of climate change and global warming. Their loss directly correlates to the diminishment of the Sierra snowpack and that is an enormous issue for California. Some of the best estimates I was able to uncover are that 52 percent of the early summer runoff will be gone in this century because of the snowpack shrinking. Twenty-five percent of farm supplies are likely to be gone, disappear, because of that. CM: You describe a number of John Muir moments that you had when you were up there, in this kind of secret world where very few people go. I mean you’ve actually crawled inside some of these glaciers that have these natural pockets in them, almost womblike in a sense, if a little cold. Try to give us a sense of what you feel when you’re up there. 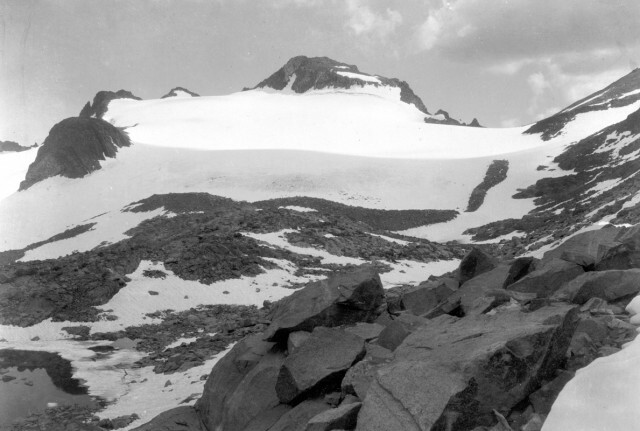 TP: My fate 140 years later was to follow, in a sense, in [Muir's] footsteps and report that these glaciers are disappearing very rapidly. I was in the same place on a very different mission. The connection was actually really fun in a lot of ways though because he went to many of the same places. When I climbed into that cave at the base of the McClure Glacier -- it was an opening just about four feet high -- I crawled in there and I could scoot back about 50 feet or so to where it tapered shut. It was very dark on the inside but light was coming in through the entrance. The ceiling was just like, if you can picture, a black wet mirror above you. That’s what the whole ceiling was like, just utterly smooth. There were rocks on the ground and water trickling here and there, but ice all around me. It was totally silent. One of the first things I thought was, "John Muir would have loved it in here." There’s something particularly poignant and powerful about connecting to a place that’s changing so rapidly, that’s actually being lost. I was just totally stoked to be up there doing this. But at the same time, I realized that this incredible beauty I was seeing, I would never see again and that people after me would never have the opportunity to see. Even in a few years, you won’t be able to see exactly what I saw. The next generation probably won’t be able to see most of these glaciers at all. But by being able to show this real manifestation of the changes we’re making, I am hopeful that people will get it and that people will become motivated to deal with the changes that are coming.